Clear Out the Pipes. Rid them of accumulated gunk. SilkBalance’s liquid Clean Start™ renews hot tub plumbing for a fresh water experience that will make your hot tub water easier to care for. It’s the best $13.00 you’ll ever spend. Some of the oils, lotions, cosmetics, sweat, and other organics that threaten your hot tub water never show up on the surface. You don’t want to see them. They’re icky, nasty, and gross. You don’t want to think about them. But they’re building up in your plumbing lines, out of sight, out of mind, and out of reach – until now. Safe, USA-made Clean Start™ can make those pipes like new in minutes, no matter what sanitizing system you use. Protects plumbing and parts. Each time you drain and refill your hot tub. Use it when you get a previously-owned spa. Use it when you switch to the SilkBalance System . Use it when you change sanitizing methods. Or, when you’re having trouble with cloudiness and odor. In any case, be sure to use it once a year. Drain water and clean shell. You’ll get a clean start with no buildup behind the scenes. You can relax knowing your whole hot tub is truly clean, fresh and sanitary. 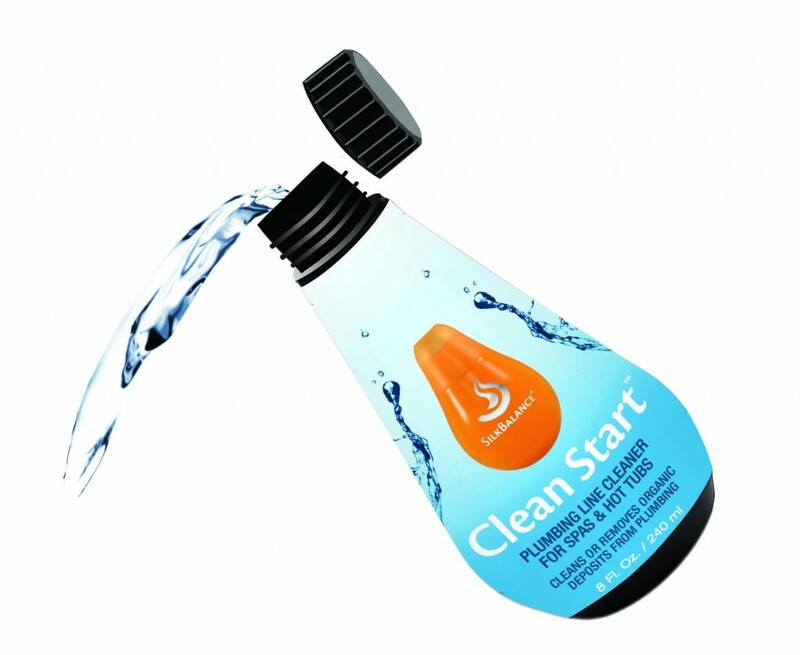 Order Clean Start from our e-store today!